Am I an AUTISM Expert? No. It essentially outlined how anybody can call themselves an expert. You didn’t need any kind of accreditation to utilize this title– You just COULD. Now, that got me thinking about self-proclaimed Autism Experts, yeah, you may know the ones. They are bright-eyed and bushy-tailed and able to create a profit off of this. I’m certainly not talking about Amythest Schaber who I have the UTMOST respect for. (so please, don’t think that for a moment!) I’m talking about the ones who actually attend talks and tell people how to profit off of their different abilities and have acquired a mass amount of social media followers. 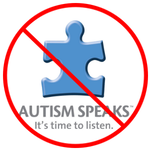 I want to make one thing inherently clear: I AM NOT AN AUTISM EXPERT. I will begin to preface my videos by giving a little schpiel about this. My views, my opinions, yada-yada-yada. I’ve been asked for advice and I try to make sure they know that I, in no way, have any kind of training or expertise. I just live by experience. I want to share my story in the hopes that people relate with me but don’t go thinking I’m some kind of shrink. I do this blog because I love writing, taking photos, making videos and trying out things in my very own way. If it’s too good to be true, it probably is. ALWAYS ASK QUESTIONS. It’s more than OK to be a skeptic. Fluorescent lighting is, perhaps, one of the things I hate most. It causes so much interference with my life and makes me feel miserable. There’s humming and flickering. I have felt faint, I have felt wobbly and I have lost some opportunities as well. I understand that businesses use this lighting because it’s cheap but it’s always telling me to hurry up and get out. Studies confirm that fluorescent lighting definitely affects mood and health. Yes, i’m Autistic. Most workplaces have this kind of lighting. I’m lucky enough that the place i’m working now does NOT have it. I have to basically determine workplaces that would be suitable based on lighting, amongst other factors. Could you imagine how many workplaces this would eliminate?. I have light sensitivity and other sensory sensitivities and it’s so hard to deal with. I am usually in a room with no lighting on and the windows opened. I can deal with soft sunlight but even if i’m outside, I will, most likely, need my sunglasses. I wish there was a cheap alternative that wasn’t so harsh and horrible.